Aesop’s Fables, The Thousand One Nights, Decameron Tales, The Canterbury Tales and many more folk tales of Europe have adapted Indian stories. Many of the characters themselves were alien to Europe. For example when Aesop used an Asian animal or bird we knew for sure it was not from Europe. The art of storytelling has developed to the highest standards in India. In the Forest of Naimisaranya , saints used to gather and listen to stories. Sometimes such sessions lasted for twelve years. Though most of the stories are mythological in nature we come across all the fables, anecdotes and supernatural elements. Putting one story within another is story is also typical Indian. We see all these traits in the above European and Middle Eastern books. They have adapted many stories from the stories of Vikramaditya, Pancha Tantra, Katha Sarit Sagara, Dasa Kumara Charitra and Maha Bharata. Many Western and Eastern scholars have already identified such areas. But not many people knew that they have even copied from the miracle stories of Tamil Saints Sambandhar, Appar and Sundarar. 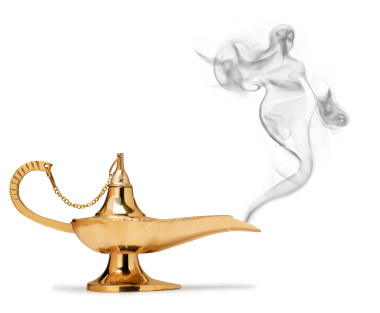 Aladdin and the wonderful lamp is part of The Thousand One nights. But it was added by a European author to the Arabic version of 1001 nights just two hundred years ago. He attributed it to a Syrian in the Middle East.Aladdin’s genie performed several miracles for him. Most of the Hindus know the Yaksha Prasna story of Mahabharata. Yakshas are super natural spirits who occupy the lakes, trees, junctions of the roads and hills. They are supposed to have supernatural powers. In Tamil literature we come across Bhutham, a benevolent natural spirit, in the Pandya inscriptions, Thevaram Hymns, Silappadikaram and other minor Tamil works. The Bhutams or the spirits or the supernatural beings have done marvellous tasks. Sinnamanur Copper Plates of Pandya King narrated how a Pandya king used the service of Bhutams to repair the tanks and lakes. Irayanar Kalaviyal commentary also gave this story. Saivite saint Tiru Gnana Sambhandhar was going from one town to another town to worship god in different temples. When he went to Thiruvaduthurai, his father Siva Patha Hruthayar asked him for some financial help to do a yagna (fire ceremony). Then Sambhandhar started singing a hymn. Immediately a Bhutam appeared before him and left 1000 gold coins in front of the shrine. Sambhandhar sent the treasure to his father. Another great Tamil great saint Appar was reconverted to Hinduism from Jainism. He prayed for Hindu religious symbols to appear on his body. It is customary to have those symbols marked on the body like tattoos during initiation ceremony. Immediately a Bhutam appeared before him and marked the holy Saiva symbols Tri Sul/Trident and the Bull emblems on his shoulders. One may wonder who the Bhutams were. Were they some Shiva devotees dressed like short and ugly dwarfs? Or were they some supernatural beings that appeared like bolt from the blue? The next episode will show that that they were NOT ordinary human beings disguised as Bhutams. Sundarar, the last of the three Thevaram saints, was receiving paddy and pulses on a regular basis from one of his devotees who was a rich land lord. Because of a big drought the crops failed. So the land lord was very much worried. One day he went to bed skipping his dinner. Lord Shiva appeared in his dream and told him that he had given him paddy for Sundarar. When the landlord woke up, he saw a mountain heap of paddy. When he sent a word to Sundarar about this miracle, Sundarar thought how he was going to carry all the paddy to his home town Tiruvarur which was miles away from the Landlord’s town. Shiva sent his Battalion of Bhutas ( Bhuta Ganam) to shift them to Sundarar’s place overnight. Since all these things were beyond human comprehension, they wrote everything for future generations. Sundarar was very good friend of the King of Chera (modern Kerala) country. When he visited the Chera country, the king gave him enormous gifts. But he lost all those to robbers who were none other than Shiva Bhuta Ganas. When Sundarar prayed to god and sang about it, he got all the robbed goods back. Silappadikaram is a moving Tamil epic. It has a reference to Bhutas in the City Squares. They used to ask questions like the Oracles of Delphi. One of the Bhutas in the city of Pumpuhar ate bad people who were liars, traitors, prostitutes or people who have illicit intimacy. In another place the epic refers to a person beaten to death by the Bhuta because of his lies. The four Bhutas in charge of four castes vacated the city before Kannaki burnt Madurai. So we can safely conclude that the above episodes lay seeds for all the ghost or spirit stories in the European literature.